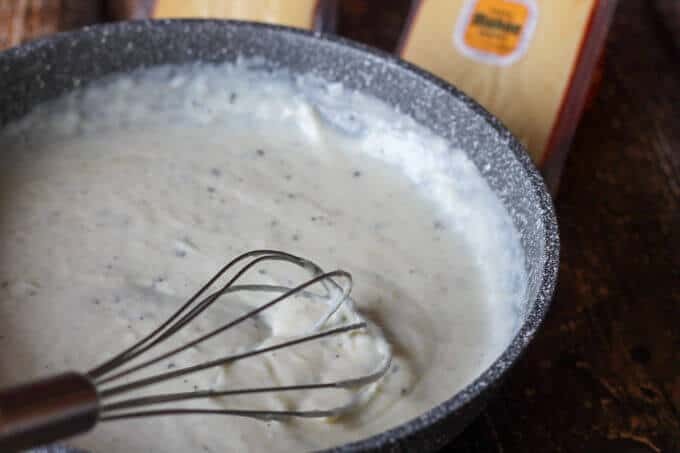 Pan-Seared Ribeye with Cracked Pepper & Mahon-Menorca Cheese Sauce is a super easy and quick idea for any Holiday dinner. It just takes 15 minutes, from start to finish. You can’t beat that! 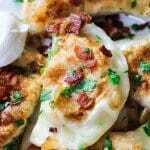 It seems that when it comes to Holidays the natural inclination is to put a fancy type of meat on the table like: leg of lamb, rack of lamb chops, glazed ham or prime rib. Not to disparage these options, but what if you’re cooking for a smaller crowd? 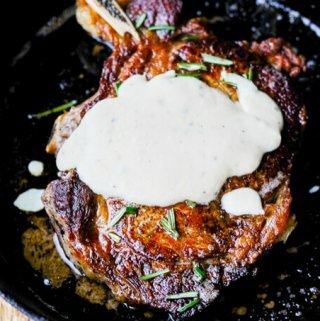 In that case, I say go get yourself the best cut of steak out there and make this Pan-Seared Ribeye with Cracked Pepper & Mahon Menorca Cheese Sauce. 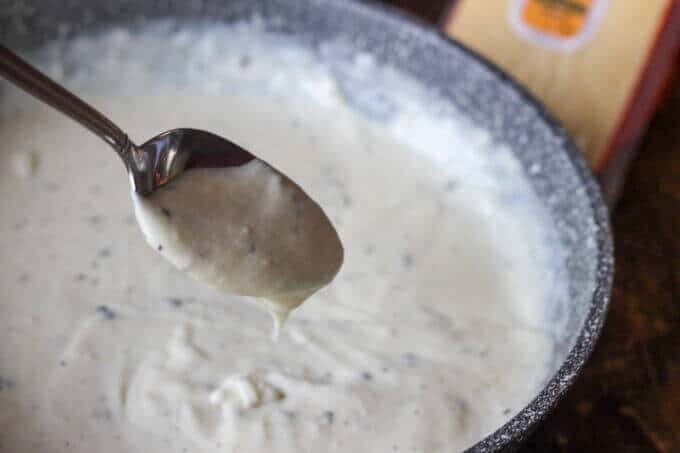 In fact, even if you’re cooking for a larger crowd you could grab a big piece of meat, like prime rib, and use my Cracked Pepper & Mahon-Menorca Cheese Sauce to serve it with. It’s outstanding! I chose Ribeye for this recipe, in that we’re just doing a quiet Holiday at home this year, and therefore I don’t have a ton of ravenous appetites to feed. 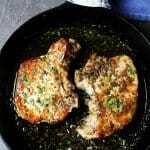 This cut of meat is fattier then other cuts, making it also very flavorful. Our two little boys are going to be with us, but if you follow my blog you already know that one is a picky eater, and will not touch a steak, and the other just isn’t big enough yet to eat a steak. But my husband, on the other hand, is a HUGE steak lover. If he could, I’d imagine that he’d devour it all the time. But he does watch his diet, so even if he wanted it all the time he does moderate. 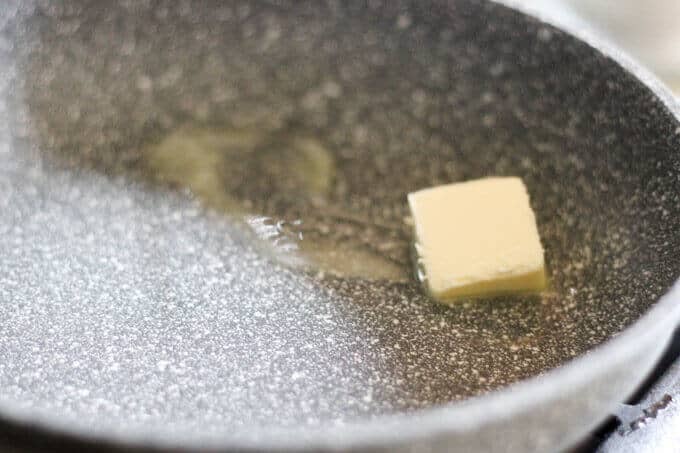 I think that the best way to make a steak is to pan-seared it on a cast iron pan as this provides stable heat, and then finish it off in the oven with, an indirect heat. We celebrate Christmas, so for us this is a perfect day to indulge and have some amazing, juicy steak for dinner. 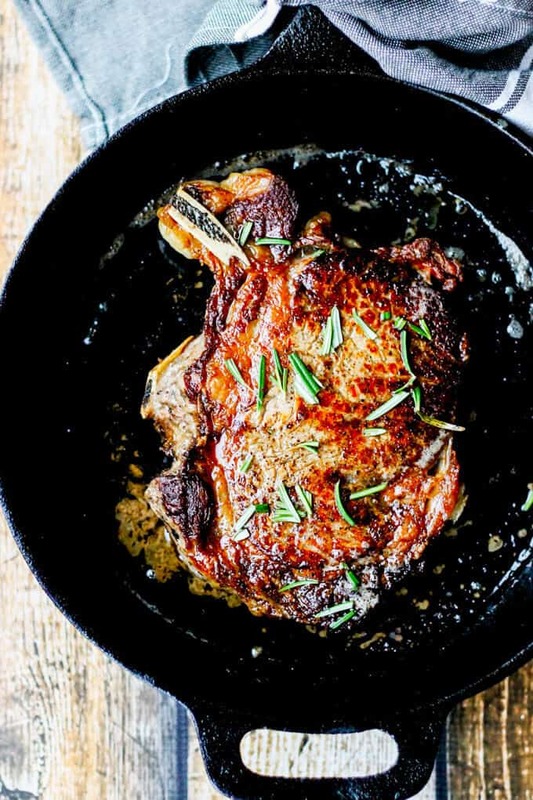 But while this Pan-Seared Ribeye can be delicious on its own, it’s the sauce which really takes it to the next level. And if you make it while your steak is in the oven and resting afterwards, then the whole process will take no more than 15 minutes! A win win in my book!!! 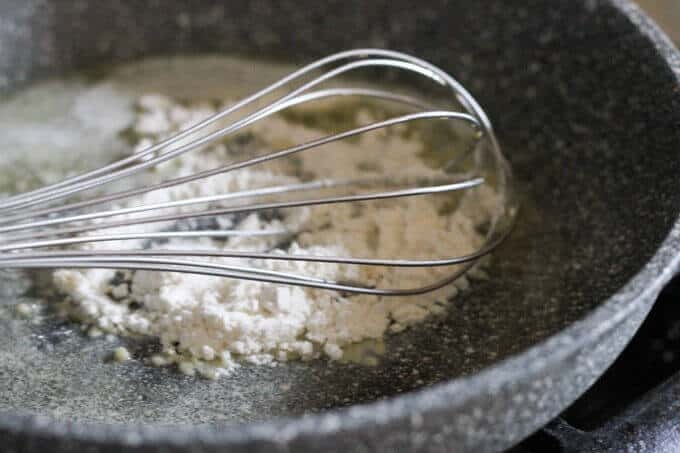 First you’ll need to melt 1 tablespoon of butter, then add 1 tablespoon of flour, mix it well and gradually add 1 cup of milk. 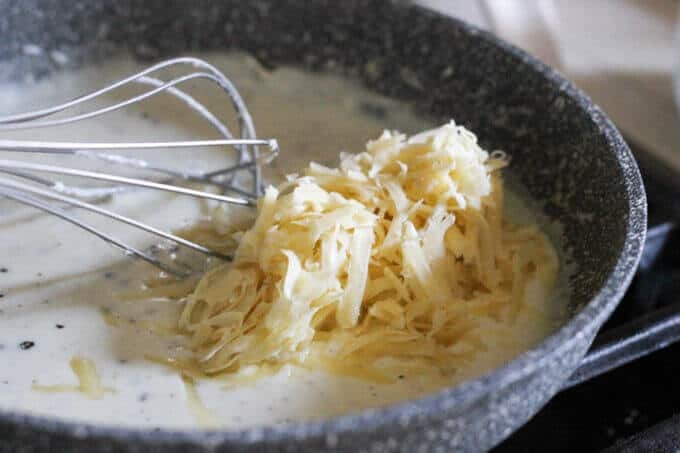 Once the sauce begins to thicken up, then you will add lots of cracked black pepper, turn off the heat and add your 1 cup shredded Raw Mahon-Menorca Cheese. Pour it over steak and voila! You have perfect Holiday dinner. 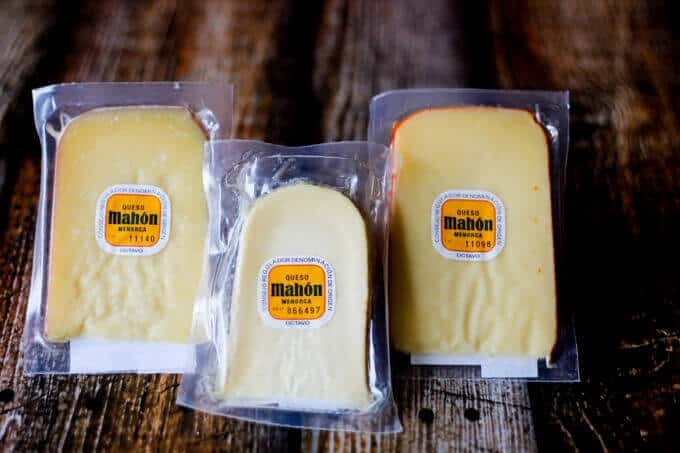 Mahon-Menorca Cheese is a product with a Protected Guarantee of Origin (“P.G.O”). It means that this is a product which is very closely related to the geographic area where it is produced – the island of Menorca. 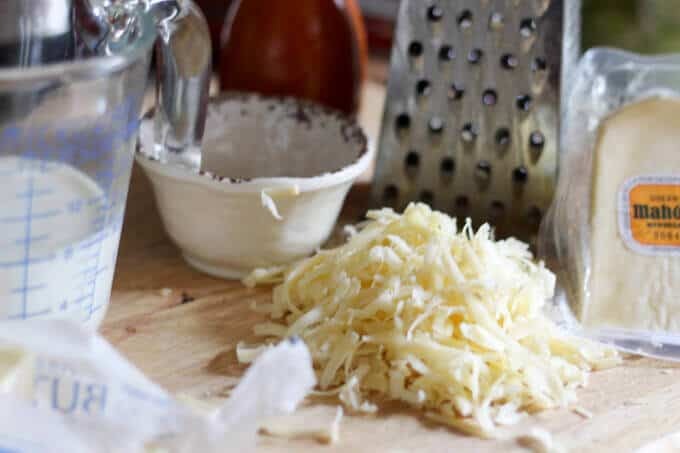 The geographic and climatic factors, as well as process of making and aging the cheese (a process that has remained unchanged for a long time in farms and which follows ancient practices used), affect he final balance and flavor of the cheese. 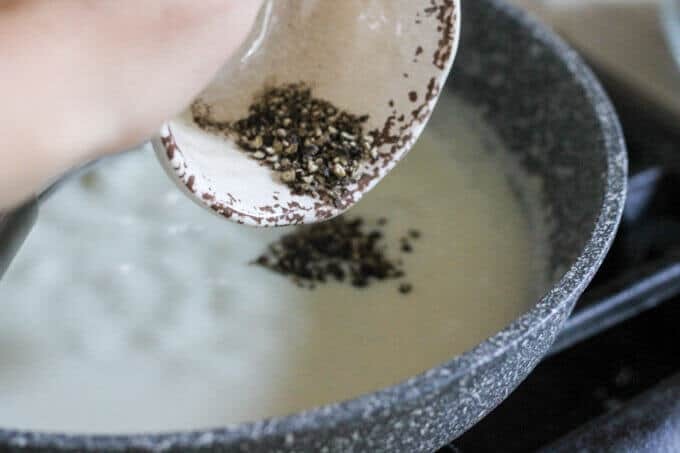 Some of the found pottery remains suggest that the cheese was first produced on the island even as early as 3000 BC. By the 13th century their foreign trade was already important but it wasn’t until the British rule that the name “Mahon” was first coined – which was the name of the product’s shipping port. In 1985 The Guarantee of Origin was conferred, and then in 1997 its protected denomination changed and become “Mahon-Menorca”. SEMI-CURED. Characteristic and unmistakable. The crust of this cheese is orange, and the cheese is firm yet easy to cut, showing irregular holes throughout. Its milky taste and flavor is more developed, with reminiscences of toasted nuts and dried fruit. It’s aged for 2-5 months. There is also a new one, a Traditional Style cheese made with Raw Milk that’s aged for 6 months. It’s also very complex and intense. 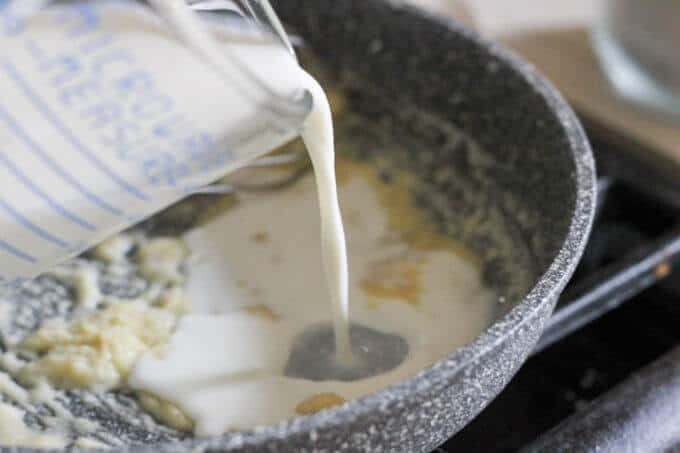 This is the cheese that I used here for my Cracked Pepper and Mahon-Menorca Cheese sauce because of its incredible flavor. Alright, I know what we’ll be having for our Christmas dinner. 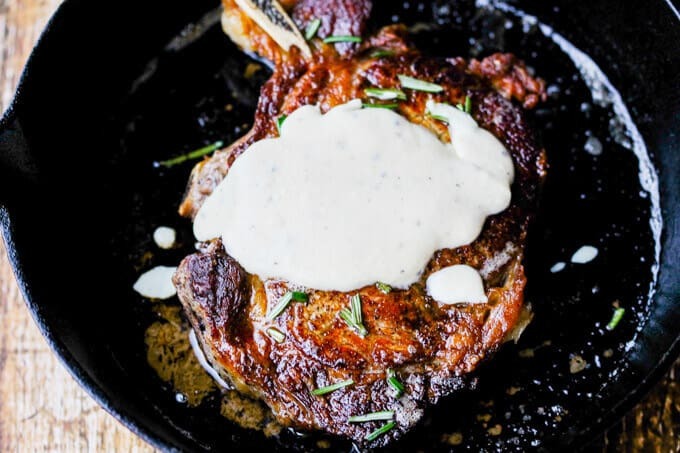 If you are looking for some inspiration, then I hope you will give this recipe for Pan-Seared Ribeye with Cracked Pepper and Mahon-Menorca Cheese Sauce a try. Happy Holidays! Cover steak with the foil and let it rest for 10 minutes. Once the cheese is incorporated into the sauce check for seasoning and add salt if needed. Pour the sauce over steak and enjoy! 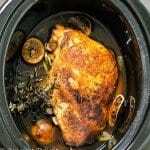 I find it useful that you added the temperature to cook the meat properly. Now only Celsius is missing. 🙂 Your ribeye by the way look very tempting and I just had dinner! Thanks Helene. Good to know that some folks may be looking for temperatures in Celsius. I will try to update it. I would love to try that cheese! It sounds absolutely amazing. This cheese is absolutely amazing! Wow, this looks amazing! 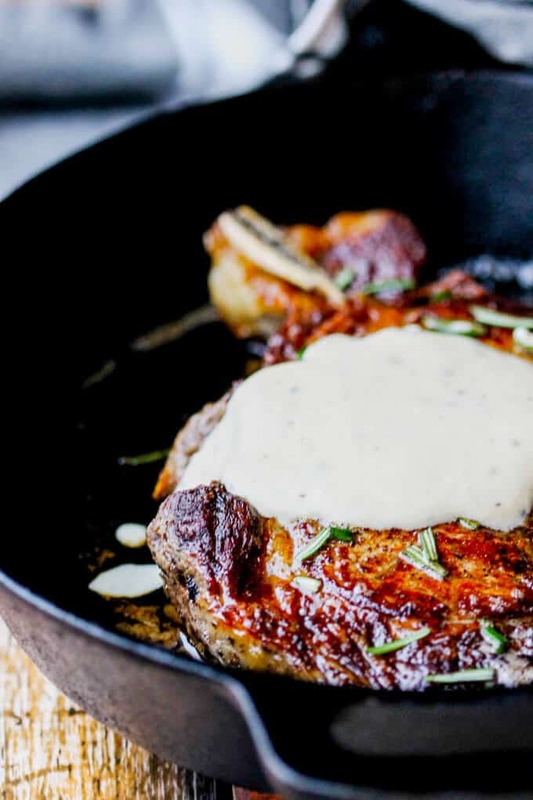 That cheese sauce alone looks fantastic, but on top of a delicious rib eye!? Yes please! Wow, this looks phenomenal! My hubby loves steak too and would go crazy for this. Me too, actually! I’ll have to look for the cheese at Costco. The cheese sauce is awesome!You guys will like it. Gorgeous photos! This ribeye is to die for!! What mouthwatering shots…I would love this for dinner tonight. Pinning! Yum! 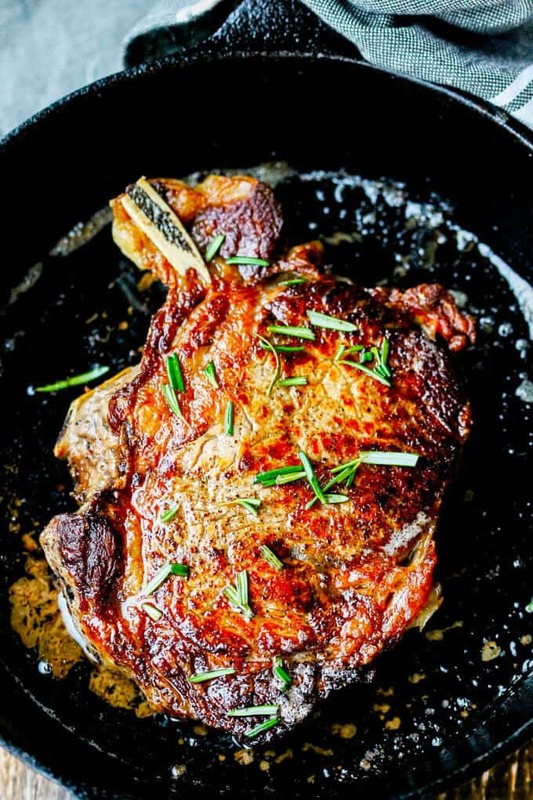 We are huge fans of cooking steak in cast iron at our house. The cheese sauce you’ve made looks really lovely on top! 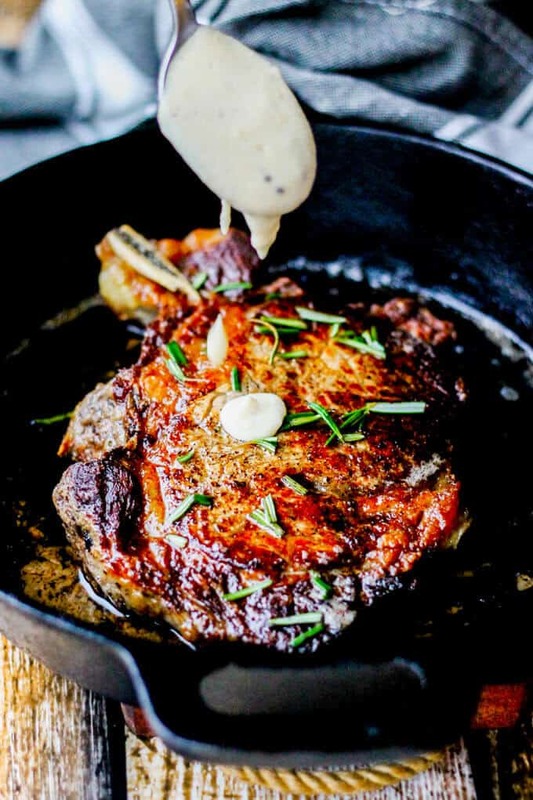 Such a delicious and juicy steak recipe! Only 15 min. to this fabulous dish?!?! Love, it! Bookmarking to make this for my guy!